The Union held its Council Meeting at Temple Newsam, the home club of President Charlie Brown on 15th November at which 45 members of 23 Clubs attended. Tom Freeland of England Golf spoke about how England Golf can help clubs attract members, produce business and marketing plans as well as activities to encourage juniors to take up the sport. 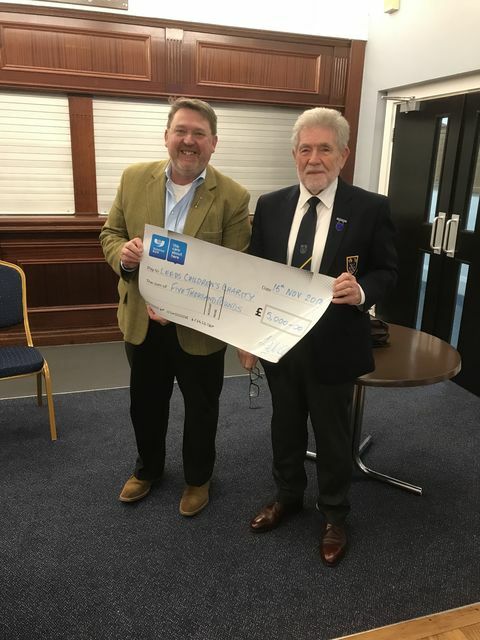 The Union has long been a supporter of the Leeds Childrens Charity and Dave Norman, a Trustee, was delighted to accept the Union's cheque for £5000 from the President.